Overview & specs of Artesa Stylish Wooden Serving Set by Currys PC World. 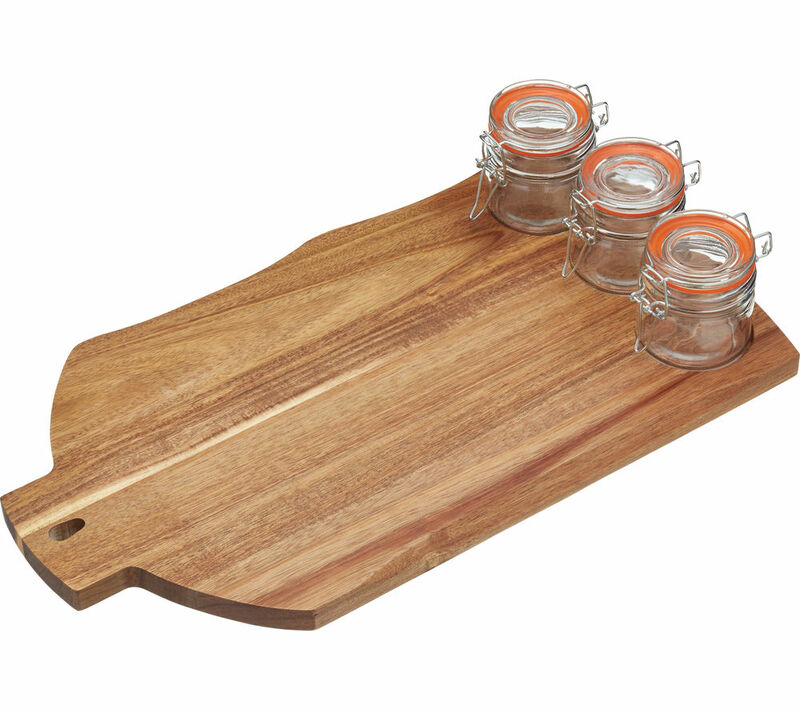 Impress your friends and family and serve delicious antipasti or artisan canapes with the Artesà Stylish Wooden Serving Set.Party favouriteThe beautifully crafted Artesà Serving Set features a stylish wooden serving board and three clip-top glass jars.Perfect for dinner parties - you can serve a variety of treats from cheese and crackers, Italian meats as well as breads, relishes, dips and more.Simple servingEach glass pot features a silicone seal to keep any chutneys, dips or sauce airtight and fresh.The acacia wood serving board is easy to clean and makes a beautiful display for meats and cheeses.Serve your guests restaurant-style food with the rustic Artesà Stylish Wooden Serving Set. We are comparing prices for Artesa Stylish Wooden Serving Set in new condition sold by Currys Pc World.